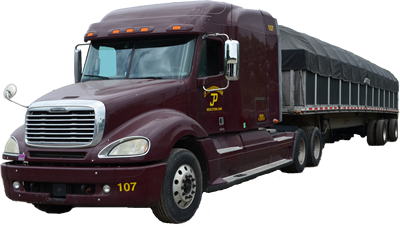 JP Transportation has been a family run entity since 1957 that started with one truck and trailer and one goal - satisfy the customer. More than 50 years later, customer satisfaction is still our main focus. As a full-service flatbed carrier serving the Eastern U.S. it's our dedication to safety, customer satisfaction and on-time delivery that keeps us moving forward each and every day. Conducting business with integrity and character and treating our drivers, shippers, and agents as family is what has made us a dependable and respected trucking company. Join our team now! Click here to start an application. Copyright 2014 J.P. Transportation Company Inc.